Item # 307769 Stash Points: 2,995 (?) This is the number of points you get in The Zumiez Stash for purchasing this item. Stash points are redeemable for exclusive rewards only available to Zumiez Stash members. To redeem your points check out the rewards catalog on thestash.zumiez.com. 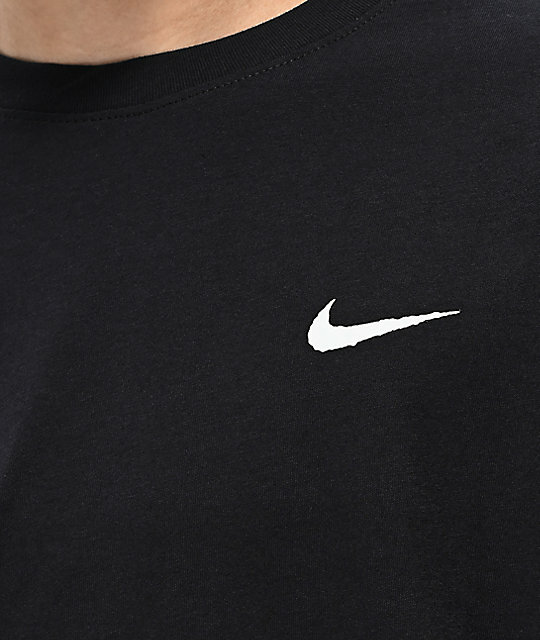 Keep your skate-inspired style on point with the Snake Black Long Sleeve T-Shirt from Nike SB. 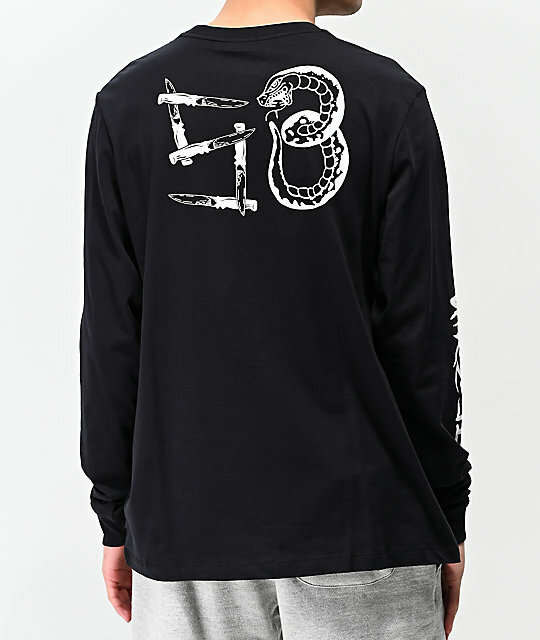 Coming in a black colorway, this pure cotton long sleeved tee features a screen-printed Nike Swoosh logo at the left chest, while the back features graphics of knives and a snake, in the shape of the SB logo. 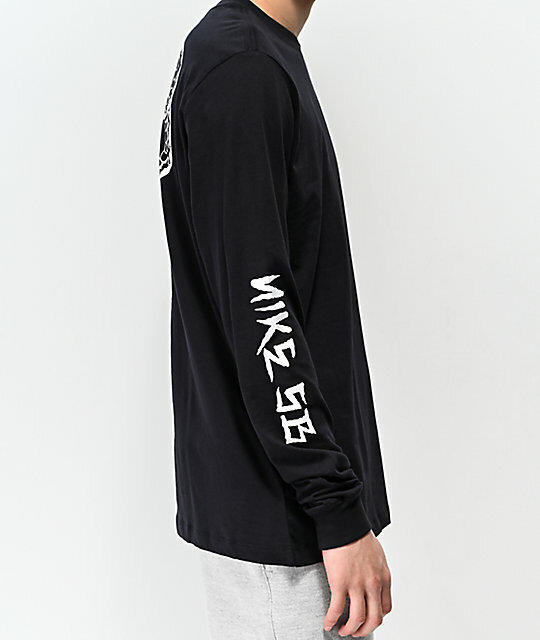 A screen-printed Nike SB logo at the right sleeve completes the look of this must-have shirt. 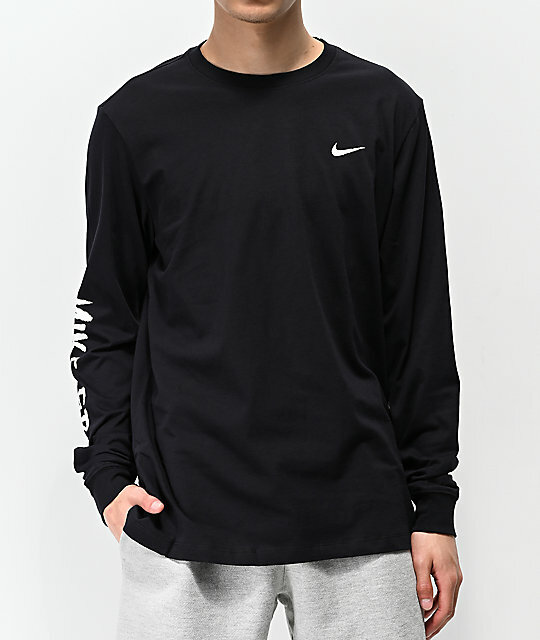 Snake Black Long Sleeve T-Shirt from Nike SB. Screen-printed graphics at the left chest, back & right sleeve.